Maximum five entries per person. by the closing date of 31 January 2016. The winning entry will be the one which most amuses the Editor. The winner will be announced in the Spring 2016 Newsletter. Competition Conditions. The judges’ decision is final and binding. Entry is open to Anthony Powell Society members and non-members. No purchase necessary. Entries must be original and the work of the person submitting them. Maximum five entries per person. No cash alternative. No correspondence will be entered into. The Anthony Powell Society reserves the right to publish the entries but otherwise copyright remains with the author. 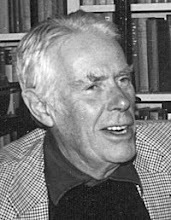 The Anthony Powell Society is pleased to announce that booking for the conference is now open. Full details can be found in the Conference Booking Leaflet which may be downloaded for www.anthonypowell.org/reflib/2016book.pdf.